These will melt in your mouth! Yes! They are that good! And blueberries are so good for you! A family favorite! Mildly sweet, supper moist and bursting with Banana flavor! Please specify with or without nuts: walnuts or pecans upon ordering. 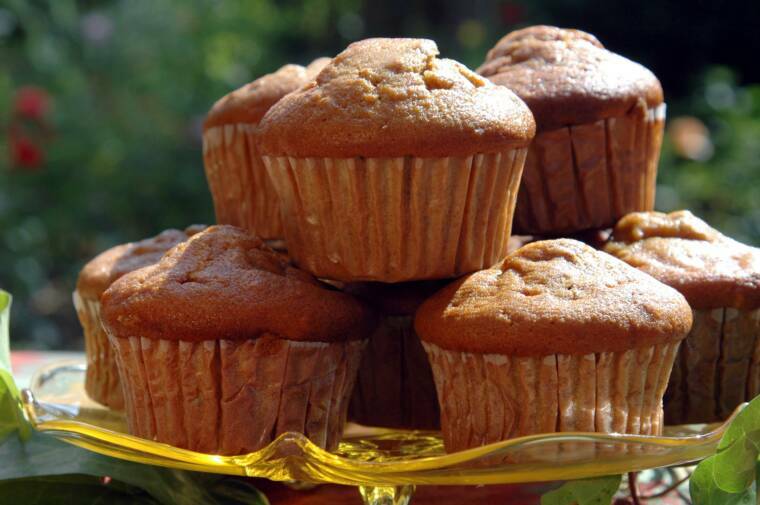 Moist and tender this muffin is unlike any corn bread muffin you've had before. I use a combination of soft unbleached flour and finely ground sweet white cornmeal to create a soft and tender texture. And with whole kernel corn baked right in, it's out of this world! Beautifully rich in color and taste! 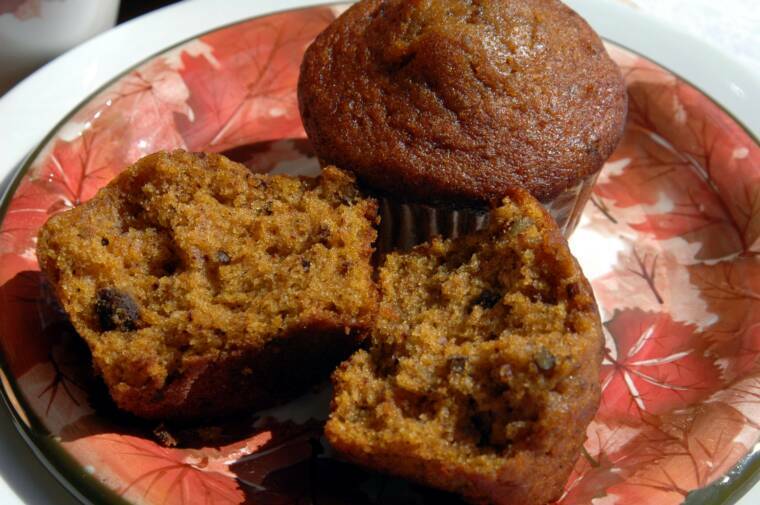 A perfect blend of nature’s goodness; moist and sweet; you’ll come back for more! 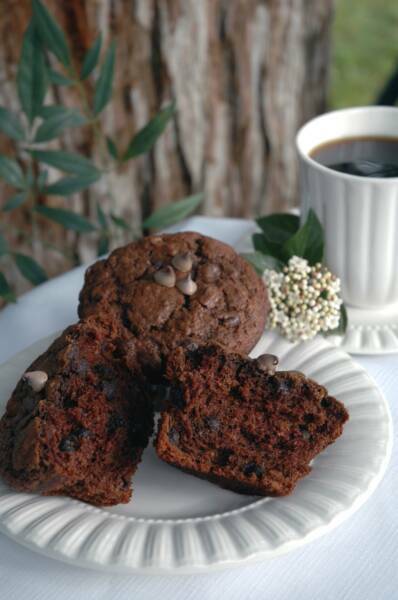 Filled with pockets of dark chocolate chips these wonderfully moist muffins are rich with chocolate flavor. 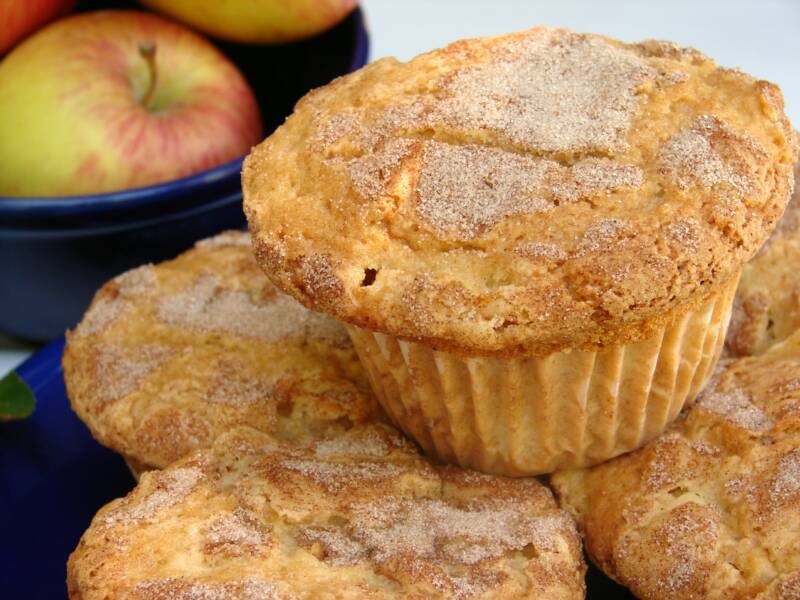 This light and fluffy melt-in-your-mouth cinnamon-sugar topped muffin has sweet little nuggets of fresh apple baked right in! 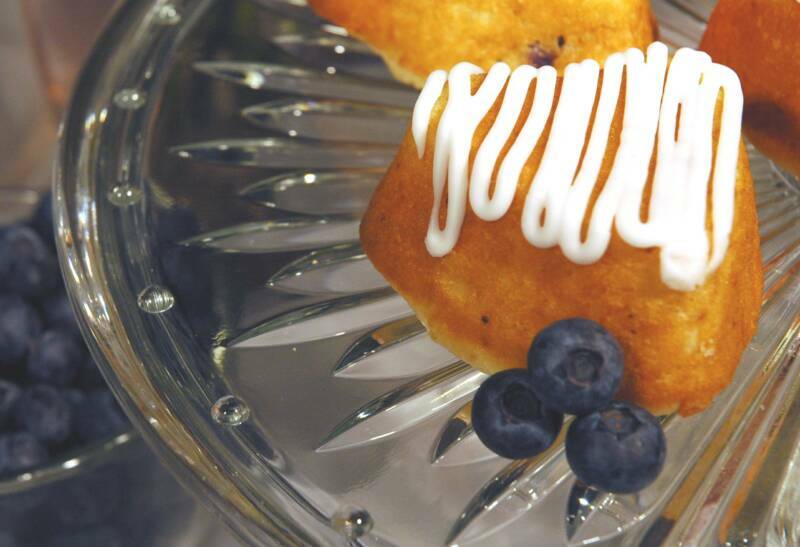 Perfect for breakfast or an afternoon snack! 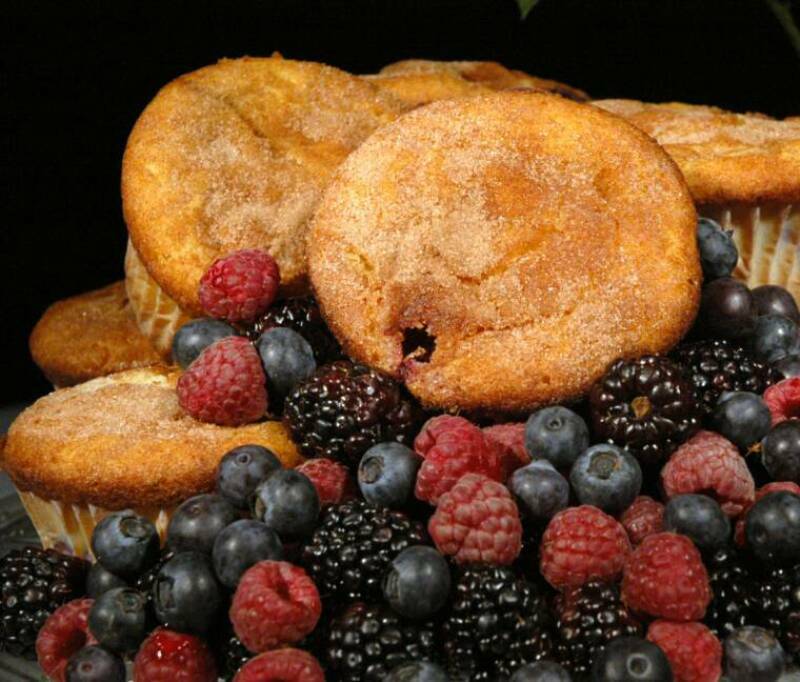 An incredibly light and tender muffin filled with Red Raspberries, Blueberries, and Marion blackberries, topped with cinnamon and sugar. 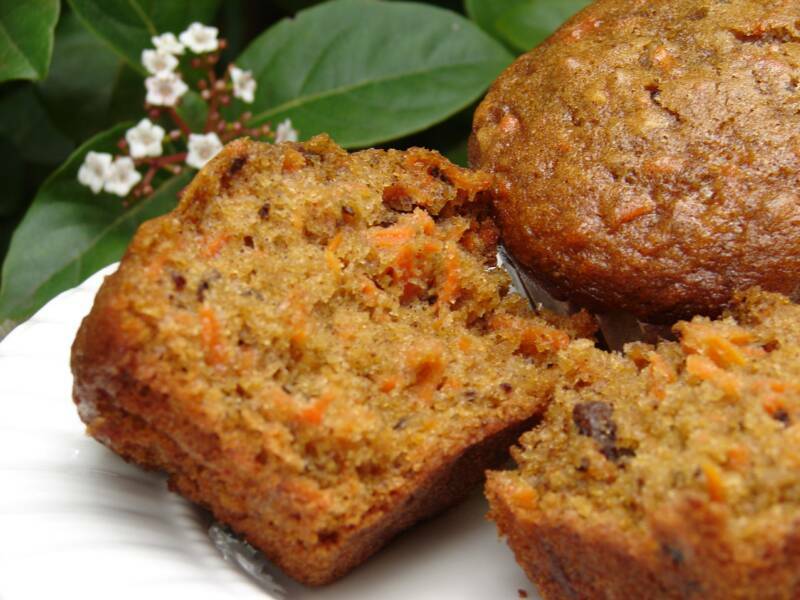 Baked with brown sugar goodness, fresh carrots, sweet plump raisins, and toasted walnuts. Moist and tender with a delicate crumb that melts in your mouth. Mmm, Mmm Good! 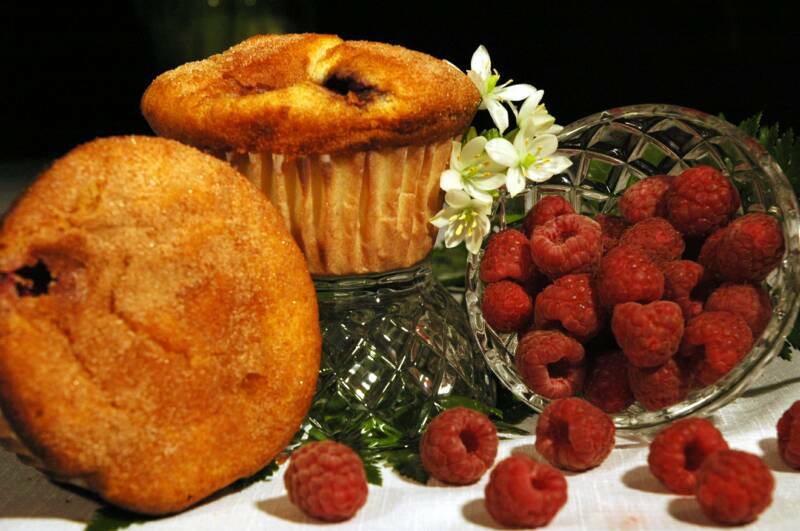 Extra-light & fluffy, these muffins are filled with rich raspberries or blackberries and topped with cinnamon-sugar. Every morsel melts in your mouth! 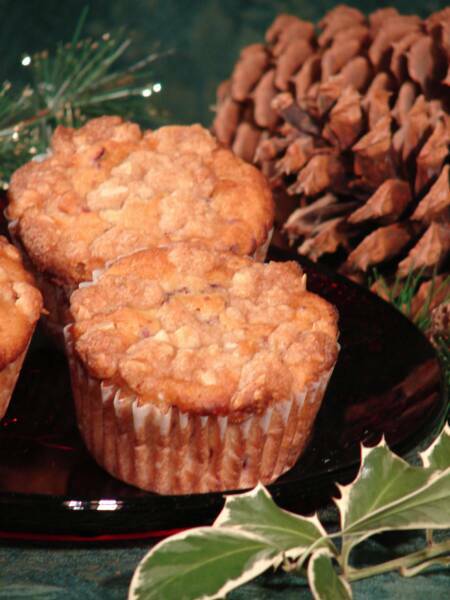 Orange juice, fresh cranberries and toasted almonds baked into a fluffy muffin with a toasted almond-streusel topping. Mmm! Wonderful served warm, with a hot cup of coffee. Seasonal - only available during Fresh Cranberry Season. 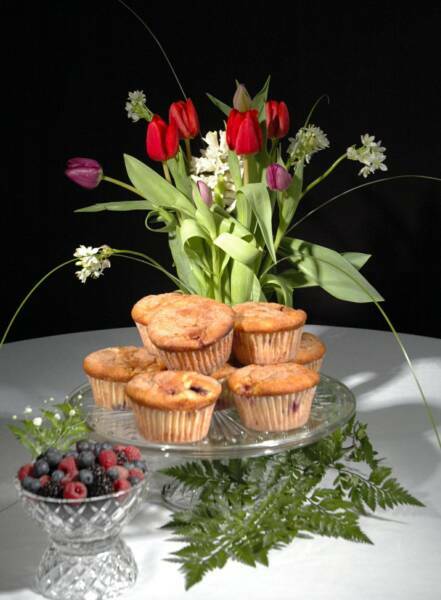 Soft and tender these muffins are moist and delicious. 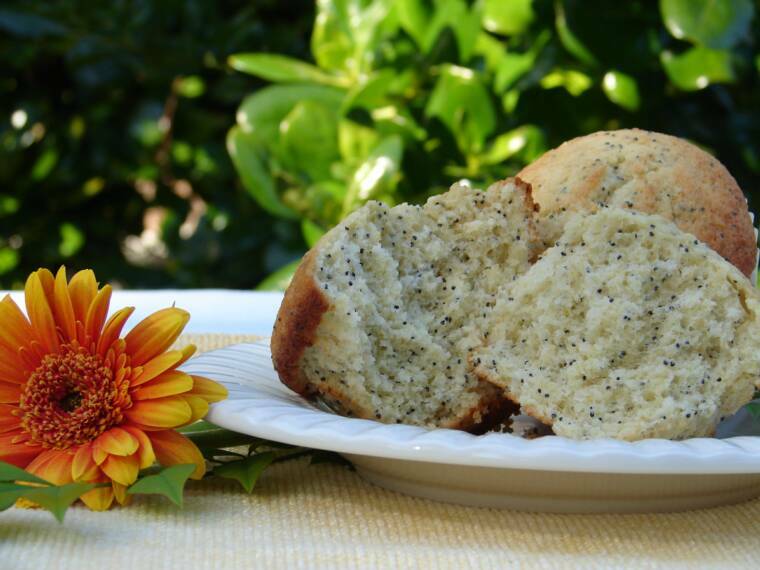 I use a unique blend of lemon yogurt, lemon oil, lemon juice and lemon zest to create this delicious muffin. Such a combination allows the wonderful full flavor of lemon to come through without creating an overly wet and heavy muffin. A sure delight for all lemon lovers! 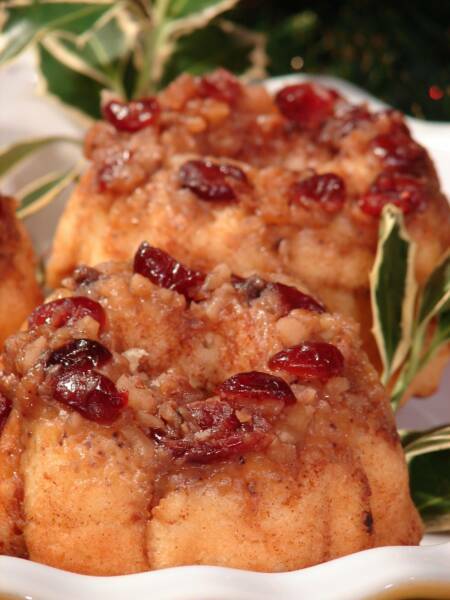 A fluffy buttermilk biscuit, with cinnamon and sugar, baked in the shape of a crown and topped with sweet dried cranberries, toasted walnuts and a shinny orange juice glaze. 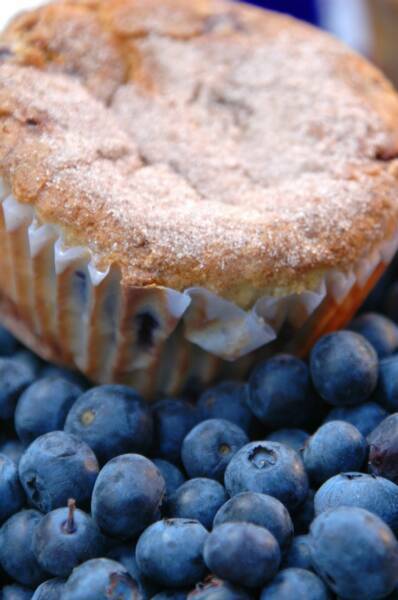 Rich blueberries nestled in an extra-light and moist heart-shaped muffin and topped with a swirl of sweet glaze. A muffin to delight the heart!